History of Warrant No. 200. 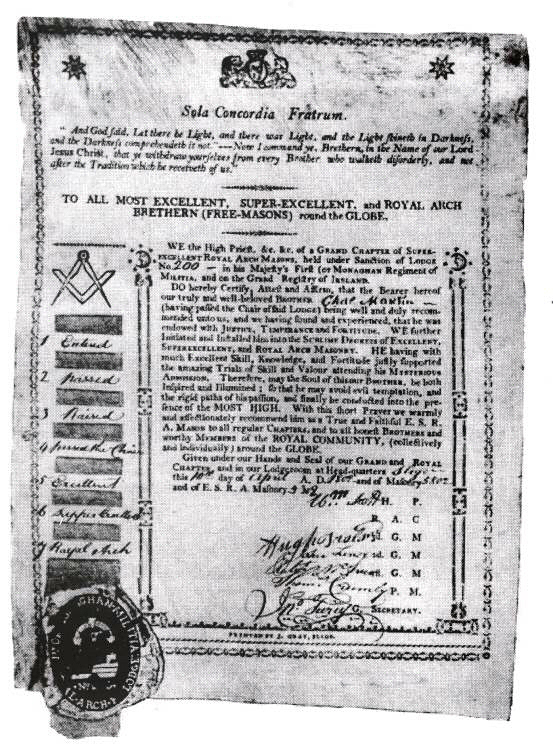 Warrant 200 was originally issued by the Grand Lodge of Ireland on 4th October, 1749 to Muff (i.e. Eglinton), County Londonderry. The Lodge worked under that Warrant until 13th May, 1801. On 20th June, 1827 Warrant No. 200 was reissued on a Warrant to Glenwherry, Ballymena, County Antrim (In lieu of No. 1006), where it worked until 1847, when the Warrant was called in by Grand Lodge and cancelled on 7th October, 1847. Warrant No. 200 was next issued to Clonmel, County Tipperary, on 16th February, 1850, but was sent back, in trust, to Grand Lodge on 28th January, 1858. 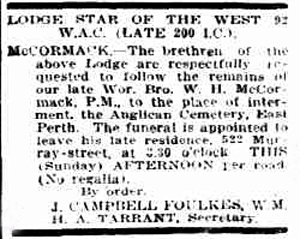 Star of the West Lodge at Perth, Western Australia, was granted Warrant No. 200 on 5th December, 1896. This Lodge worked very successfully till the establishment of the Grand Lodge of Western Australia, and on 8th June, 1911 the Warrant was surrendered and called in when the Lodge obtained a Warrant issued by the Grand Lodge of Western Australia. The Lodge is still called Star of the West and Labours under Warrant No. 92, W.A.C. Funeral Notice of Willliam Henry McCormack, J.P. and Past Master of Star of the West Lodge No. 92 (late 200 I.C.). The Sunday Times (A Perth paper), 16th November, 1913. History of The Lodge of Research No. "CC". On March 12th 1914, Warrant No. 200 was issued to 'The Lodge of Research' for the association of Installed Masters who are subscribing Members of Lodges under the Irish Constitution, to provide a centre affording encouragement to Brethren interested in Masonic research. The Lodge was formally constituted on September 30th 1914 by the Most Worshipful the Grand Master, Lord Donoughmore, in person. To access a short biography of Bro. Twiss, our first Worshipful Master, please "click" on the following Link ~ Bro. Henry Twiss, Litt. D.
First Worshipful Master, Lodge of Research CC. The First Hononary Member of Lodge of Research CC was R.W. Bro. W.J. Chetwode Crawley. This honour was granted to Bro. Crawley at the Inaugural meeting of the Lodge on the 30th October 1914 - Several of Bro. Crawley's Papers on Irish Masonic Jewels are reproduced in the MASONIC LITERATURE section, amongst them being "Notes on Irish Freemasonry No. III - Some Irish Masonic Medals" and "Notes on Irish Freemasonry No. V - The Sackville Medal - The Earl of Middlesex and Irish Freemasonry 1733". The Lodge of Research - The First Fifty Years. Reproduced from the Lodge of Research Transactions, Vol. XV, for the Years 1963-1968. The Lodge of Research has now completed its first fifty years of labour, and the time would seem to be opportune to review briefly its accomplishments, and to look forward to many more years of usefulness. Ireland has produced not a few Masonic scholars of inter­national standing. One of the foremost was William John Chetwode Crawley, an expert in our rituals, who served as Secretary of every body of Instruction in Ireland. He was one of the first to be elected to the Premier Lodge of Research in the World, Quatuor Coronati, No. 2076, London, and until his death, each volume of its Transactions was adorned by one or more learned papers from his pen. This Lodge, which was founded in 1886, set itself to apply all the modern methods of historical research, and to submit all evidence placed before it to the most searching criticism. Crawley was a learned man, with a supreme mastery of the English language, and his writings taught the world how much the Masonic world of today owes to Irish masons, and to nourish within us no mean pride in the status and importance of the Grand Lodge of Ireland, to which we are all proud to owe allegiance. Bro. Francis Clements Crossle, who for many years until his death in 1910, as Provincial Grand Secretary and later Deputy Grand Master of the Province of Down, was the mainspring of its activities. His periodic addresses to that body were of im­portance far beyond its bounds, and awakened the deepest interest in his hearers. He was an indefatigable collector, and his collection forms one of the greatest treasures of the Lodge of Research. Above all, his notes, beautifully written and carefully indexed, are still an indispensable tool for every Irish research student. John Robinson, of Comber, Co. Down, was a student of vast knowledge, but his specialty was Irish Certificates. His booklet on the subject, published by the Leicester Lodge of Research in 1902, and now exceedingly rare, remains still a valuable source of information. It was in the spring of 1913, that a number of Dublin brethren discussed the possibility of founding a Lodge of Research in Ireland, and on 29th April of that year a Pro­visional Committee met to formulate plans. This Committee consisted of Bros. W. Martin Whitaker, K.C. ; Gerard Black, L.D.S. ; Hugh A. Auchinleck, M.D. ; Wm. E. Thrift, F.T.C.D. ; John G. Purser; T. J. Smyth, B.L. and E. H. Burne. A Memorial was submitted to Grand Lodge, 1st December, 1913; signed by seventeen Past Masters, - all from Dublin Lodges, and supported by thirty-two Lodges in Dublin, nine in the Provinces, and sixty-four other Past Masters, including forty-eight Provincial and Past Provincial Officers, representing every Province in Ireland. The Warrant, bearing the number 200, was issued, 12th March, 1914, and the Lodge was formally constituted, 30th September, 1914, by the M.W. the Grand Master, Lord Donoughmore, in person. The first communication of the Lodge was held on Friday, 30th October, 1914, at which the first Master, Bro. Dr H. F. Berry delivered his Inaugural Address, appropriately enough, on the vexed question of the Ancient Landmarks. Fifty years later, almost to the day, his address was again read by the then Wor­shipful Master before a Stated Communication of the Lodge in Belfast—an entirely suitable commemoration. Henry F. Berry, who later assumed the patronymic of Twiss, had a distinguished career at Trinity College, and was a Past Master of Trinity College Lodge No. 357, and Representative of the Grand Lodge of the Philippines at the Grand Lodge of Ireland. He was Deputy Keeper of the Public Records of Ireland, and his work in that office, as editor of the Statute Rolls of Ireland, his numerous contributions to the Proceedings of the Royal Irish Academy (of which he was Secretary to the Council for some years) and to the Journal of the Royal Society of Antiquaries of Ireland were the fruit of his vast scholarship. He was chosen by the Council of the Royal Dublin Society to write a History of that important body, and this work obtained for him the well-deserved distinction of the degree of Litt.D. from his alma mater, the University of Dublin. He was also a full member of Quatuor Coronati Lodge, London, and its Transactions en­riched by many important papers from his pen. Brother John G. Purser, a Past Master of the Sir Charles A. Cameron Lodge No. 72, was Father of the Lodge. He delivered at least one address, which unfortunately does not appear to have survived, but he was an inspiring leader in all its activities till his death. Brother Edward H. Burne was the first Secretary, and continued in that office till his resignation on 28th October, 1938, owing to pressure of professional work, and his other Masonic activities. To his unfailing enthusiasm over those years, much of the success of the Lodge is due. Brother Philip Crossle was appointed Assistant Secretary in 1922. He was son of Dr F. C. Crossle, and by profession was, in fact, a mechanical engineer. His ruling passion was research and up to the time of its destruction, was an expert searcher in the Record Office. He was probably the most accom­plished and learned genealogist of his day in Ireland. These talents he freely devoted to the Lodge, and the notes he accumulated during his years of office remain a monument to his zeal, and an indispensable source of information to every student. To the Transactions of the Lodge he contributed in 1923 a masterly" Historical Sketch of St Brendan's Masonic Lodge, No. 163, Birr, King's County," in which is interpolated an account of the "Irish Rite." The theory he then advanced has not obtained the approval of many students, but, while it may require modification, it remains an important contribution to the history of the development of Masonic ritual and degrees. He was chosen with Brother Heron Lepper, to compile an authoritative "History of the Grand Lodge of Ireland " for the Bi-centenary celebrations of 1925. On its publication, this was greeted by experts the world over as the most important con­tribution to Masonic literature since the publication of Gould's monumental History of Freemasonry forty years earlier. W.Bro. J. Heron Lepper, B.L. John Heron Lepper was a member of a family long associated with Carnmoney in the County of Antrim. He had a dis­tinguished career in Trinity College, where he was editor for a time of T.C.D. He was an accomplished linguist, and a master of English prose. He was called to the Bar and for the years of 1914-'18 was one of the experts in the famous Room O.B.40 at the Admiralty. He became principal reader for Cassells, the publishers, and himself published two remarkable novels on Ulster, translated works by continental authors, and not a little verse. Masonically, he was for years one of the mainstays of Quatuor Coronati Lodge, and held high rank in the Grand Lodge and Grand Chapter of England. His last few years he spent as Librarian and Curator to the Grand Lodge of England, and was known the world over as probably the most accomplished Masonic scholar of his day. Lepper and Crossle made a magnificent team, but, unfor­tunately differences arose between them, and the completion of the History of the Grand Lodge of Ireland had to wait for thirty years. From the beginning, very many members from the North joined the Lodge, and at its Communication of 16th November, 1918, it was reported that, on the recommendation of the Deputy Grand Master, Grand Lodge had granted permission for a Stated Communication of the Lodge of Research to be held once in every year in the city of Belfast. Meetings have been held, by dispensation in other Masonic centres in Ireland, where the reunion of leading members from all over Ireland has been of incalculable value to the Craft in general. The Chair of the Lodge has been occupied by some of the most distinguished Brethren in Ireland. 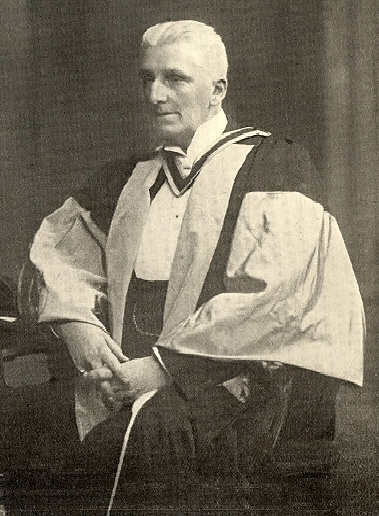 Provost of Trinity College, 1937-1942. 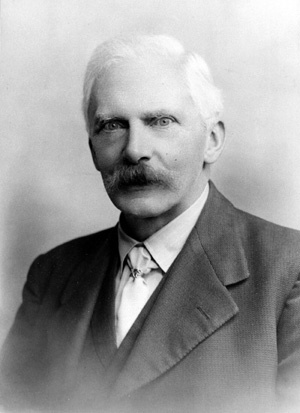 William E. Thrift, a distinguished physicist, Fellow and subsequently Provost of Trinity College from 1937 to 1942, was Worshipful Master in 1917. R.W.Bro. Major Guillamore O'Grady, Dublin Herald at Arms in the Office of Arms, was Worshipful Master in 1920. Dublin Herald in the Office of Arms. W.Bro. Professor Josiah Gilbart Smyly, Litt.D., W.M. 1924. J. Gilbart Smyly, Senior Fellow and Librarian of Trinity College, sometime Regius Professor of Greek in the University of Dublin, and one of the most distinguished classical scholars in the world, was Worshipful Master in 1924. 1939, Sir William Robinson, Provincial Grand Master of Down and Junior Grand Warden of the Grand Lodge of Ireland; 1944, Cecil P. Smyly, a brother of Dr Gilbart Smyly, a distinguished psychiatrist, who served as Treasurer for many years, and whose unfailing enthusiasm was an inspiration to every member; 1944, William Jenkinson, of Armagh, who was also a full member of Quatuor Coronati Lodge, London. His papers delivered before the Lodge and his contributions to the Transactions of Quatuor Coronati are of the utmost value. He was a most painstaking investigator, never producing any work until he was satisfied that he had investigated every possible source of information. Perhaps his most notable work was a study of the County Com­mittees of the end of the eighteenth and opening of the nine­teenth centuries. He did not complete this, owing to his desire for perfection, but his materials and drafts, now in possession of the Lodge, await the attention of some competent brother. 1952, Thomas E. Johnston, M.A., LL.D., was a Treasury Solicitor in London, where he undauntedly upheld the prestige of the Grand Lodge of Ireland, and, in particular, was foster father of the Lodges still at work in the British Army under Irish Warrants—the only survivors of the multitude chartered by the Grand Lodges of Ireland, Scotland and England. J.H. Watson. T.J. Smyth. Stanley Lawther. H. Rea Fitch. James Drennan. E.H. Burne, (Secretary). J.G. Michaels. H.R. Hadden. Major A. Whetwell. John Roy. John Harbinson. Samuel Smyth. H.K. Liburn. W.J. McCaughey. Thomas Bell. R.T. Turner. W.J. Byrne. Wm. Medcalf, (Treasurer). Sir Robert H.H. 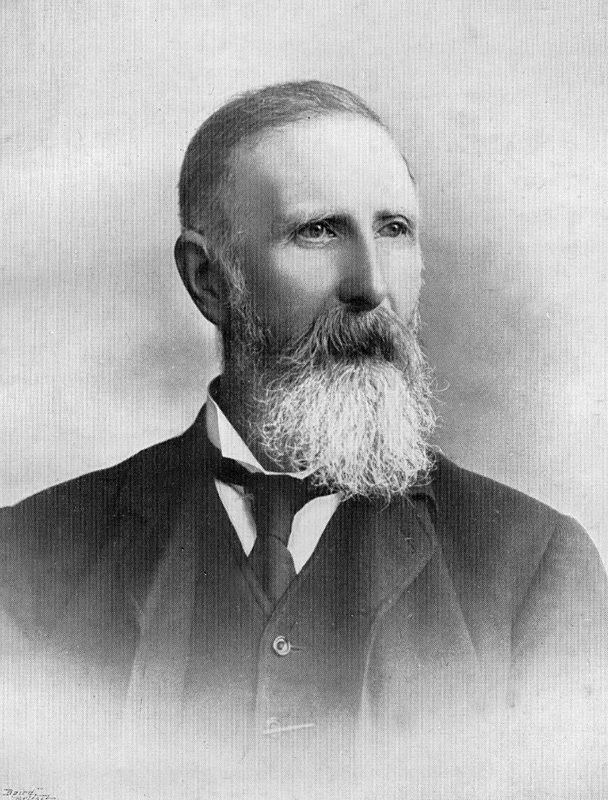 Baird, (Grand Registrar). J.M. Lewis, W.M. Mr. Justice Thomas Watters Brown. Sir Simon Maddock, D.L. H.C. Shellard, (Grand Sec.). Saml. Leighton. L.R.P. Tabuteau. The papers read before the Lodge, naturally, have varied in importance. Practically all of them have been printed and circulated, either in pamphlet form, or in sets of Transactions, and each and every one of them has contributed in some measure, to the increase of knowledge. A few of them should be noticed. On 26th October, 1917, Bro. Major R. C. Gardiner, a Past Master of Lodge 367, Downpatrick, read a brief paper on the work of Lodge 420, in the 16th Battalion the Royal Irish Rifles, the Pioneers. This was a County Down battalion; the Lodge was formed under the auspices of the Province of Armagh, and after labouring at home, in England, and in Flanders within the range of the German guns, settled in Belfast under the Province of Antrim as a stationary Lodge. A worthy successor to the host of military Lodges under the Grand Lodge of Ireland, who carried the light of Freemasonry through the war-torn world in the eighteenth and nineteenth centuries. An unusual address was delivered, 1st November, 1935, on "The Sixth Sense and Freemasonry," by Capt T. M. Lowry, a Past Master of Lodge 1673, Oxford, the first officer to be blinded in the 1914-18 War, telling how he overcame his disability, and the strength he drew from the tenets and practice of Freemasonry. Of the purely historical papers, among the outstanding were the Inaugural Address of Bro. John Holliday, Worshipful Master in 1922, dealing with the Irish Lodges in Wolfe's forces at Quebec, and the introduc­tion of Freemasonry to Canada. Grand Inner Guard, M.W. Grand Lodge. Of the purely historical papers, among the outstanding were the Inaugural Address of Bro. John Holiday, 1922, dealing with the Irish Lodges in Wolfe's forces at Quebec, and the introduc­tion of Freemasonry to Canada; later the same year, an im­portant paper by E. H. Burne, the Secretary, dealt with the first twenty years of the Order in Australia and Tasmania, again the work of Irish Lodges. On 26th November, 1926, Bro. William Tait, a noted Belfast Masonic publisher and bibliophile, in an account of Vernon Lodge, No. 123, Coleraine, revealed his discovery in the records of that Lodge, of one of the earliest mentions of the Royal Arch Degree in the world. In 1924, R. I. Clegg, Historian to the Grand Lodge of Ohio, put on record the influence of Irish masons on the development of the Craft in the United States. A particularly tantalizing paper was read in 1928, by Bro. Major N. H. S. Sitwell, of the St Claudius Lodge, Paris, in which he dealt with the influence of Irish masons on the intro­duction and development of the Craft in France—a field await­ing the further labours of some competent brother. A second volume of the History of the Grand Lodge of Ireland was published by the Lodge in 1957, and greeted with approval by Masonic scholars throughout the world. So, the labours of the Lodge of Research for its first fifty years have been fruitful, and a solid contribution to Masonic knowledge. Much remains to be done, and the labours of our predecessors are an inspiration to us today and to our successors to emulate, and if possible exceed the achievements of those who have travelled this way before us. Objects and Purpose of the Lodge of Research No. CC. The Lodge was founded and exists for the association of Installed Masters who are subscribing members of Lodges under the Irish Constitution, to encourage research into the History, Antiquities, Symbols and Ceremonies of the Order, by means of papers on such subjects and also by discussion. These papers are published and supplied in books of Transactions to members from time to time. Past Masters and Actual Masters, subscribing to Irish Lodges are eligible for membership of the Lodge. A Correspondence Circle exists in connection with the Lodge of Research, which is open to Master Masons in Good Standing, who are members of Lodges of the Irish Constitution or of any Constitution recognised by the Grand Lodge of Ireland. Applications for membership must be in writing to the Secretary. The Stated Communications of the Lodge of Research are held as follows, namely, the second Saturday in February in the Freemasons' Hall, Dublin, usually commencing at 2.00 p.m. and the fourth Saturdays in April, September and November, at a time and in a Provincial Centre as determined by the Lodge of Research. Details are available at www.irish-freemasonry.org.uk. Correspondence Circle Members may attend and are welcome at all Stated Communications of the Lodge. Also any Brother in Good Standing is invited to attend the Stated Communications. The objects of the Lodge will be considerably advanced if Brethren who have knowledge of any articles or literature of Masonic interest in their Lodges or Districts will communicate particulars of same to the Secretary. Details of when the Lodge of Research No. CC meets. The Lodge of research "CC" has four Stated Communications each year. The Installation of the Worshipful Master takes place at Freemasons’ Hall, 17 Molesworth Street, Dublin 2 on the second Saturday in February, as the Lodge is technically a Lodge of the Dublin Metropolitan Area. The other three meetings take place on the fourth Saturdays in April, September and November, at a time and in a Provincial Centre as determined by the Lodge of Research, as guests of a local lodge, when a paper of interest is normally read at the meeting. For details of meetings please see Lodge web site below. How to contact the Lodge of Research No. CC, Ireland.